Today the small people and I will take part in one of my favorite school days every year - the day we go volunteer at the local Special Olympics. This will be our 4th year doing this. The first year we helped lead athletes around the track for the opening ceremony and we passed out drinks. The second year we helped with the young athletes' stations. Last year we helped with the softball throw. This year we're supposed to help with registration. The small people are excited because that may mean we'll be free during the actual games to go cheer on a couple of our favorite athletes. It's important to me to teach the small people to volunteer, to give back to our community. Helping at Special Olympics has provided us with a wonderful opportunity to do that. It has also helped my small people understand that people with disabilities are still people who want to be loved and respected. Volunteering connects you to others. It helps you make new friends and contacts and increases your social and relationship skills. Volunteering is good for your mind and body. It increases self-confidence, combats depression, and helps you stay physically healthy. 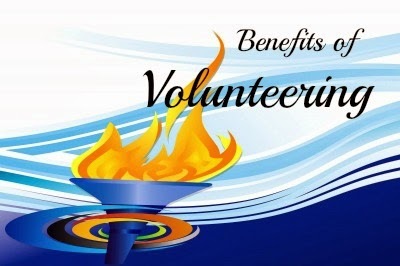 Volunteering brings fun and fulfillment to your life. It provides a great opportunity to explore interests and passions. While volunteering at Special Olympics may not be for everyone, I encourage you to find a place to volunteer, especially as a family. Does your family volunteer anywhere?